Earlier this week I asked Facebook what I should paint for easter, and a friend suggested her pet bunny, and eggs and stuff. Done! Easter isn’t very well known here in Japan, though a few foreign companies are trying to market it here and there. When we told the English club that we would be having an Easter party and dying Easter Eggs (I’m so excited!) we explained the holiday by asking who’s been to see the Easter displays at Tokyo Disney Land. 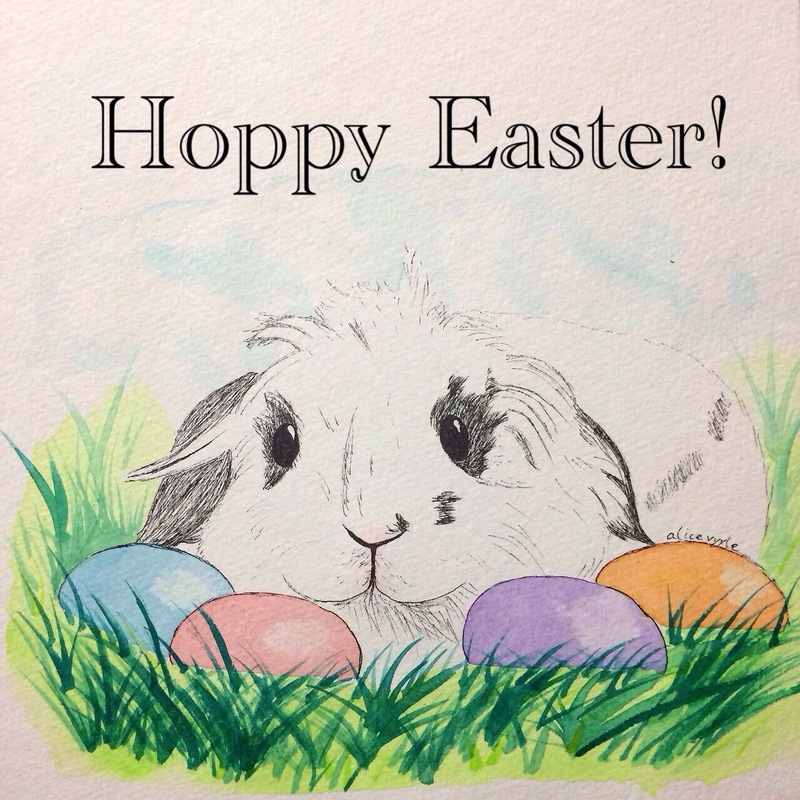 This entry was posted in Art and tagged Art, bunny, cute, easter, easter bunny, egg, happy easter, I painted this, illustration, my art, painting, watercolor. Bookmark the permalink. 1 Response to Today’s Watercolor: Hoppy Easter! What Easter is held for? Why did you paint eggs? It is very interesting (and peculiar) !